There are different ways of setting up different types of community companies, shown here with an overview. All types of community company confer limited liability for their members. There are two types of limited liability, limited by shares and limited by guarantee. We don't just set up new community companies, we provide a range of community and charitable company legal solutions such as to convert a company from one type to another, changing the company's name, redrafting its articles, etc. The main UK legislation is to be found in the Companies Acts 2006, the Charities Act 2011 and various other Acts of Parliament and regulations. The vast majority of trading companies are private companies limited by shares. There are over two million such companies registered at Companies House. A private company limited by shares must have the word 'Limited' or 'Ltd' at the end of its name. 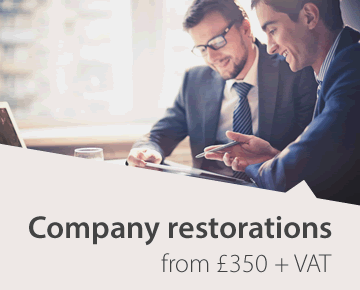 The main advantage of trading through a limited company is to have limited liability. Many private companies are very small. There is no minimum capital requirement for a private company and it is commonly less than £100. Approximately 90% of private companies are small or medium sized companies which means that they can file simplified accounts at Companies House, rather than full accounts. A private company may not offer shares or debentures to the public. Only a public company (PLC) may do so. For more information on the way in which companies limited by shares operate in comparison to those limited by guarantee, please see our page on the differences between the two. Although it is most common for incorporated community and social enterprises to be limited by guarantee (indeed, charitable companies must be set up this way), it is not unheard of for some community companies to be limited by shares. Perhaps most notably, CICs may be limited by shares and issue dividends provided they comply with the CIC regulations in respect of the asset lock and dividend cap. Limited by shares or guarantee? Community Companies helped us through every stage of the incorporation process. We were delighted that the incorporation was completed so quickly. They answered all our questions in a straight-forward way and made positive suggestions and contributions throughout the process. We would happily recommend them to any community organisation that was thinking of incorporation. Community Companies is part of the Company Law Solutions group of companies, experts in company law.